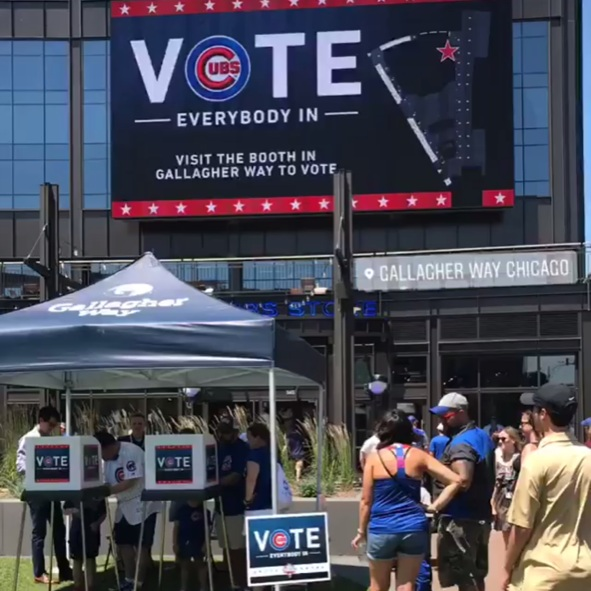 We launched the campaign with a :30 second spot featuring the bullpen players pitching in to get their guys voted in. 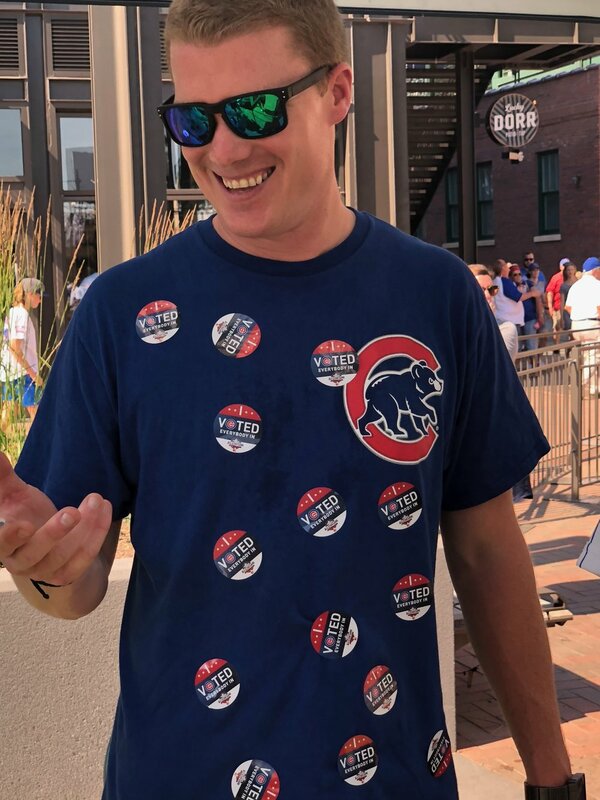 We supported the effort with individual candidate social media videos for the Cubs to run on all their social platforms. 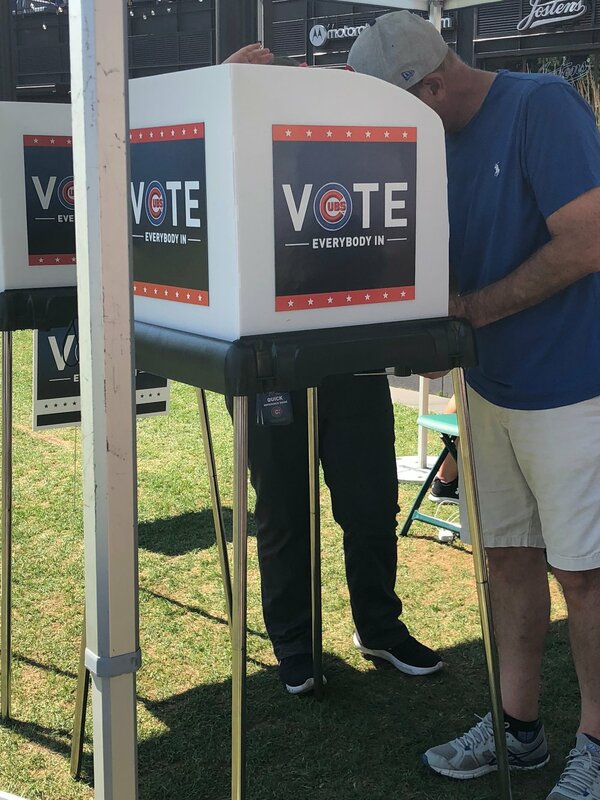 No Cubs election is complete without the opportunity to vote at Wrigley Field. 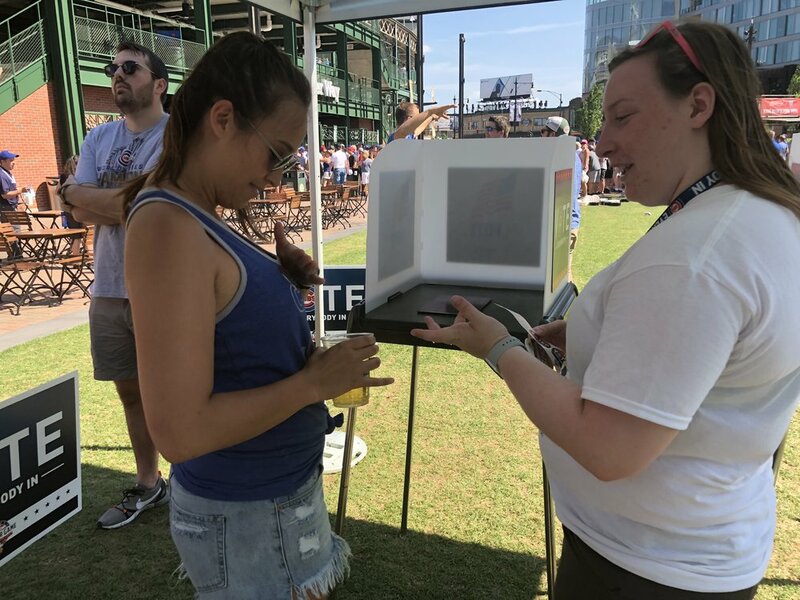 Booths were installed with voters being given real versions of the campaign buttons and "I Voted" stickers (some went a little overboard with the stickers). Design elements included in the spot and general campaign. Originally the swag was designed for the spot, but with so many fans clamoring for it we had to produce buttons and stickers for our live event above.